Cat Eye Sunglasses There are 16 products. These stylish and trendy Giselle sunglasses is most popular among the women. Be sure to add these styles in your display rack, Order in dozen now! 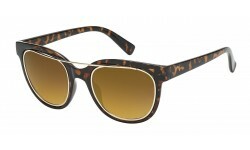 These Giselle shades are fashionable and a must-have for sunglasses retailers. Women who are into the celebrity look love the Giselle brand. 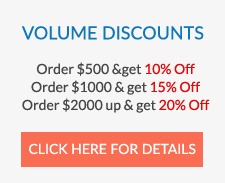 Order now get discounts starting at 10% to 20% off. 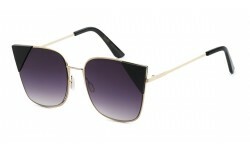 These are the stylish women sunglasses with a polymer and metallic frame. It’s a butterfly inspired shaped style that's sure to wow your customers. Comes in assorted colors as shown and sold by the dozen. Check out these new Cat Eye sunglasses for women! The lens shape is actually a hybrid of round lens with the cat eye corners. Ultra cool! Sophisticated Cat Eye Sunglasses for women! These fashion womens wholesale sunglasses are hot hot hot! Check out the color assortment as shown. Order by the dozen and get up to 20% off! Slightly cat eyed but not so exaggerated, this New Giselle style is a favorite among women who want something timeless and classic! New hybrid Eye-D cat eye sunglasses! A mix of plastic and metal material, this is a modified cat eye fashion style. There is a metal brow bar that stretches across the nose bridge. A cutting edge frame, this is a style that retailers with a market for fashionistas would benefit in carrying. This is style is for women who can appreciate the polarized lens quality while also wearing a designer style pair of shades without the designer brand price! Excellent quality materials used for these polarized sunglasses for women. This is a non logo VG fashion style! The design is elegant. The frame colors are basic darks and the lens are gradient. A must have for the women that want a slightly oversized glamorous look!